Print4London.com serves businesses in London and counts some of the UK’s and indeed, the world’s, largest companies amongst its clients. We have a wide range of production facilities at our modern factory and as a mailing house, we can deliver your print products across London, the Home Counties as well as the rest of the UK and even worldwide. Design and database management from an experienced team in our own state-of-the-art studio. Traditional high-quality lithographic printing on modern machines in full colour and onto a wide range of papers and boards. Personalised and short-run digital printing on the latest machines from Canon in both black and white and full colour. Direct mailing to your clients from our mailroom team. Approved for Royal Mail Mailmark, Print4London.com have access to postage discounts for 1st and 2nd class. Integrated Marketing combining print and digital channels. Our AIM service enables you to create a single marketing campaign with both print and online channels. This way, you can keep track of your printed and digital campaigns, and create ‘triggers’ for different reactions to each step of your campaign. Find out more here. Because we manage the print process (and even the design if you want!) from start-to-finish, we maintain quality control throughout the whole printing process. Our in-house expertise, coupled with the use of the latest technology, ensures that you will receive high-quality print with a fast turnaround every time. Our Customer Service Team will liaise with you at every step of the way, first understanding your needs and then advising you accordingly on the best paper, board and binding options, as well as recommending either litho or digital printing based on your product requirements. Before Print4London.com can even think about delivery of your print, we need to ensure the files provided are suitable for print production. Our Artworking Checking service is included in the cost of your print. You can read about Print4London.com’s artwork checking process here. Once your order is printed, we can have your products delivered directly to you, your customer or another UK and worldwide address of your choosing. Deliveries are made with our own vans, approved couriers or the postal system. We have contracts with Royal Mail, Onepost and Secured to ensure the best deal for volume post is available to you. Read more about our Personalised Print service. 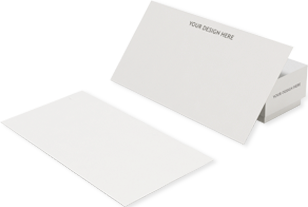 Find out more about our Direct Mail service. Curious about Print On Demand? Got questions about GDPR and how we handle your data? Don’t worry. We hope you like our site and that you can find everything you need. Got more questions about how we work, how to order or any other query? Call 0800 917 6377, email hello@print4london.com, or just fill in this form and we will get back to you.